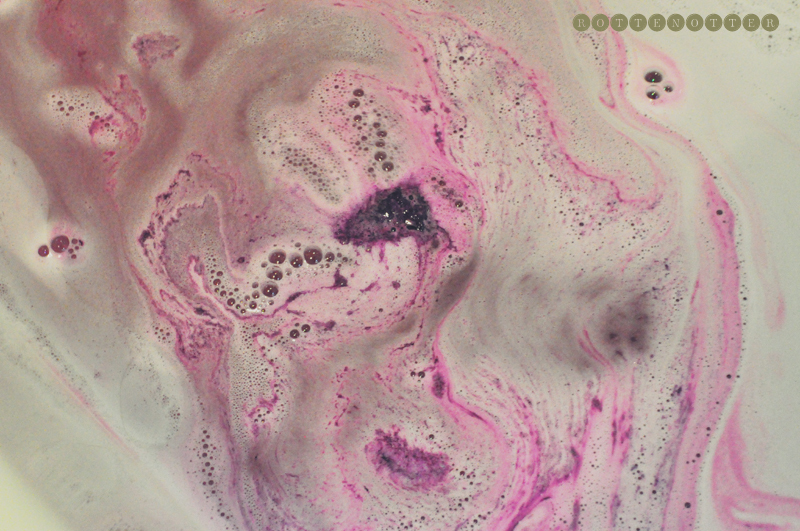 Once put into the bath, Phoenix Rising will sink to the bottom fizzing away slowly then rise with sparkling purple and green plumage. You can see the purple swirls in the photo above but I didn't get much green from the middle of the bath bomb, guessing each varies slightly. 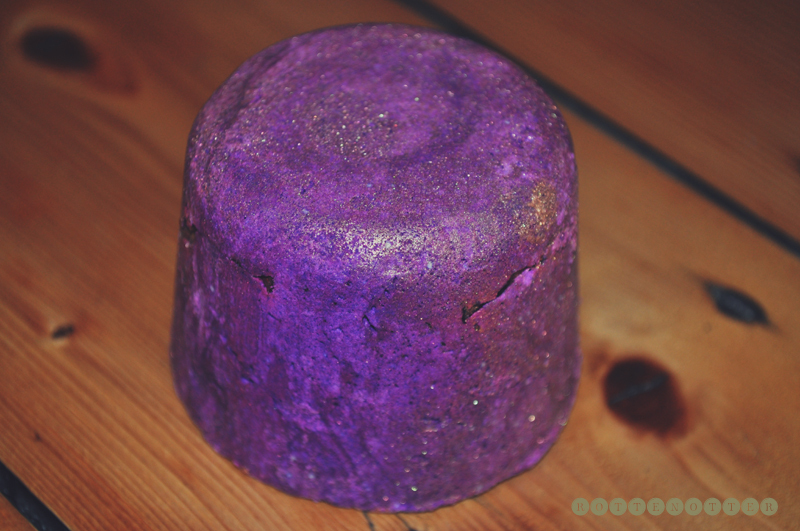 Once the bath bomb had completely dissolved the water was left a gorgeous purple colour which didn't stain the bath. Also something that you can't see in the bath photo is the very fine gold glitter in the water which was lovely. Looked like the water wash shimmering but didn't stick to you. The two main scents are cinnamon, Phoenix's is often quoted as using cinnamon sticks to build nests, and blackberry which surprisingly go really well together. This is also the most moisturising of Lush's bath bombs containing shea butter, cocoa butter and jojoba oil. I really felt a different to my skin when I got out the bath, almost like I'd used a bath melt instead of a bath bomb. Although I don't tend to buy bath bombs that often as you can only really use them once I'll definitely be buying this one again. It costs £2.95.